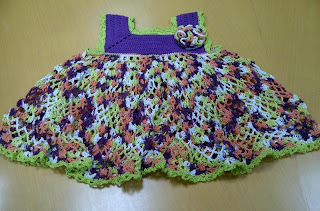 I love needle crafts and love to make lots of friends Hope you all enjoy my blog. This picture show the project before steeking, yes, I learned a new technique on this project, the Steeking. 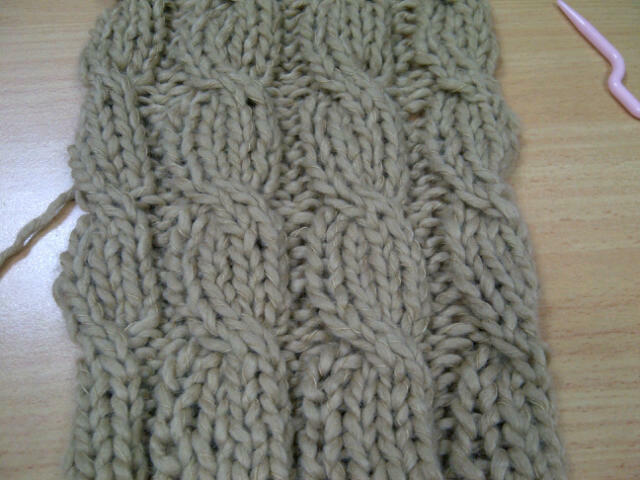 This simple cabled scarf was made for my friend, she was going abroad for a holiday. 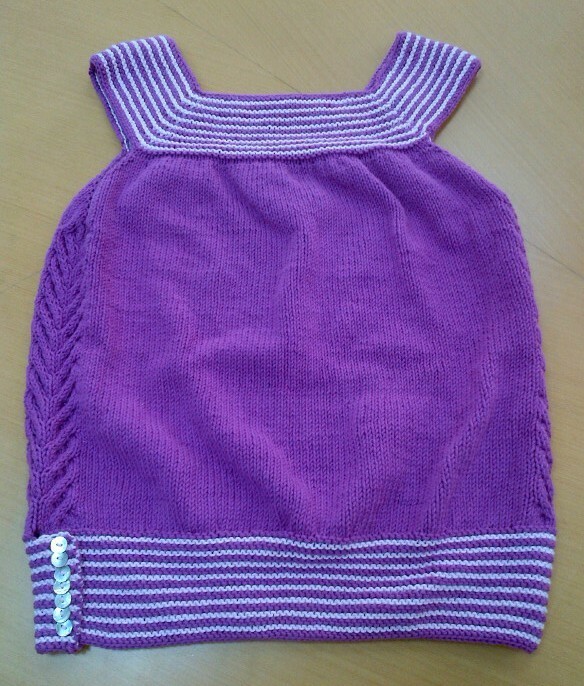 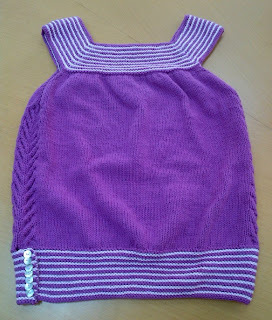 This Fuchsia is a test knit pattern for Adeline Too. 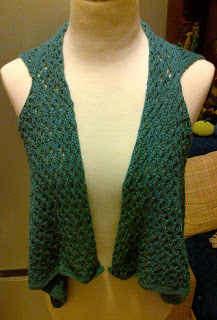 This is a fun and very enjoyable pattern to knit with. It's seamless top knitting in around with a cable motif on both sides. It's a great top to wear on. 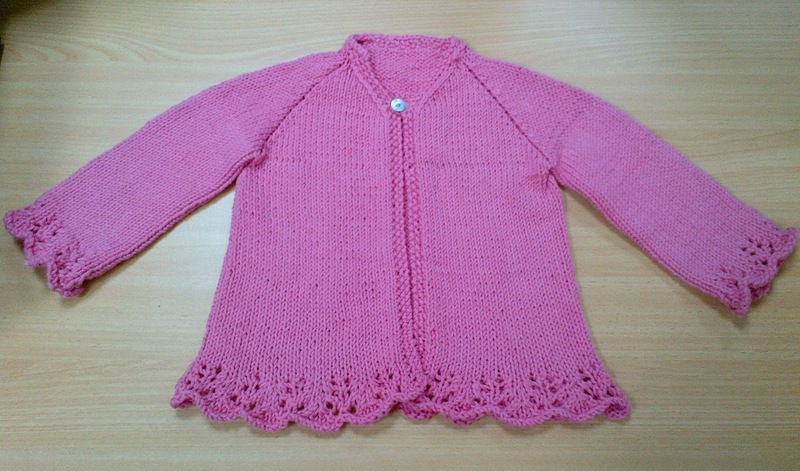 I use Thalenta Star 2 balls of main color and 1 ball for soft pink, with knitting needle 4mm and 3.5mm. 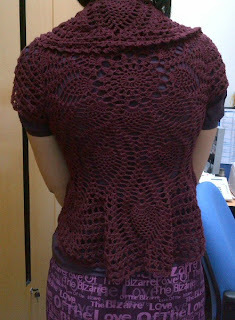 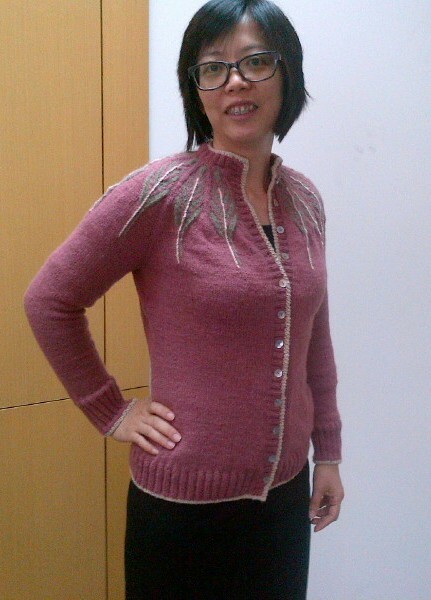 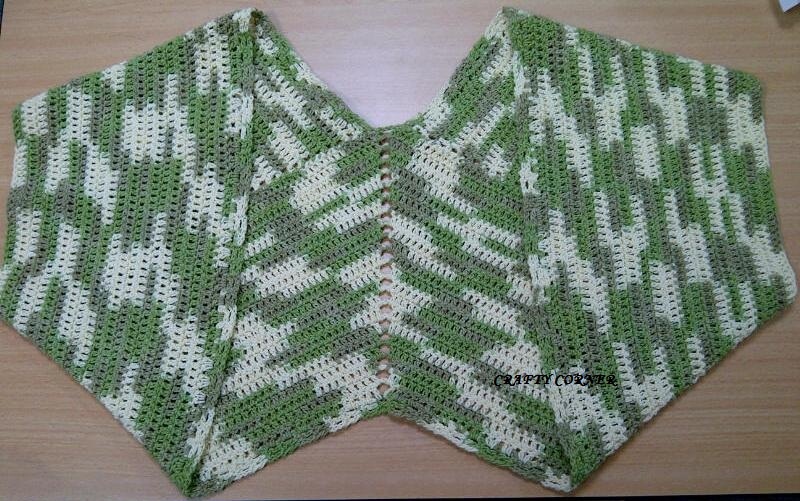 This one I knit using free pattern from Pierrot named Open Work Gillet. 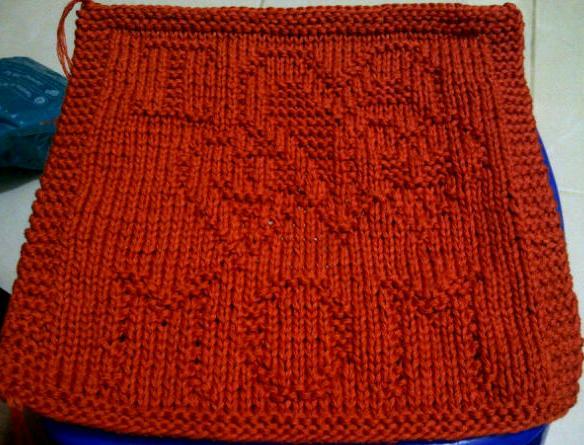 It is quite nice to knit with. 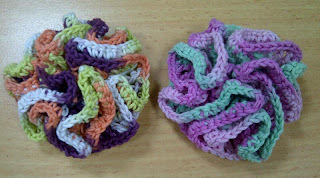 I used 2 balls Thalenta Star, knitting needle 4mm and crochet hook 3mm. 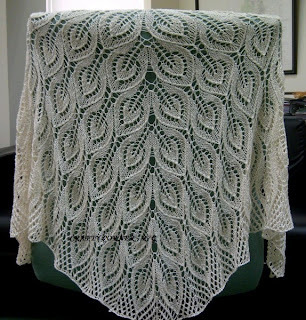 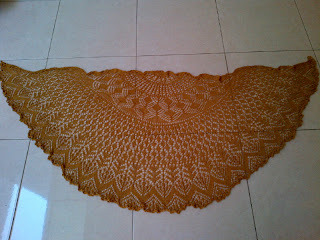 This one is one of my big knitting project, Vernal Equinox Shawl Surprise, it took me (on and off) a half year to finally get it done. 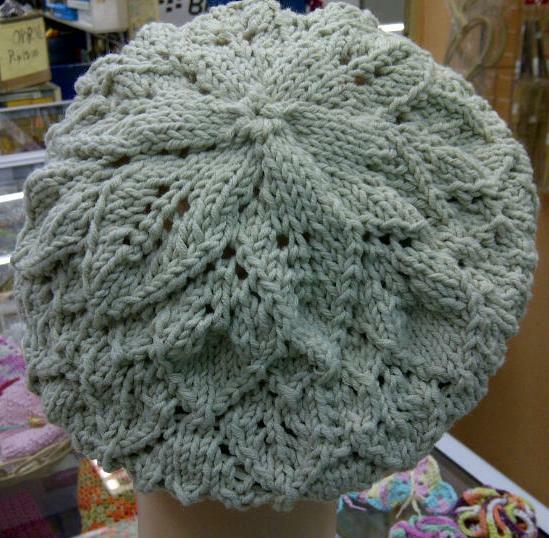 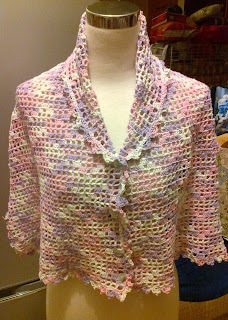 I used Thalenta Rayon Cotton, almost 3 balls of it, and knitting needle of 4 mm and crochet hook of 3mm. 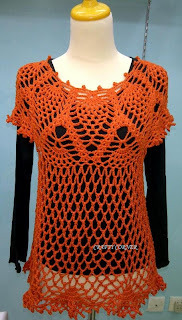 Hope you enjoy these knitting projects. 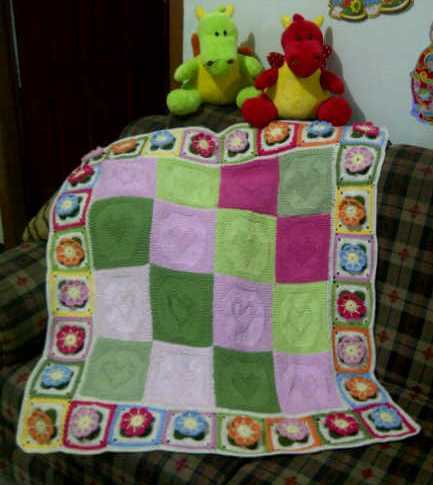 This piece ended up to be my niece's, she loves it, so I just present it to her. 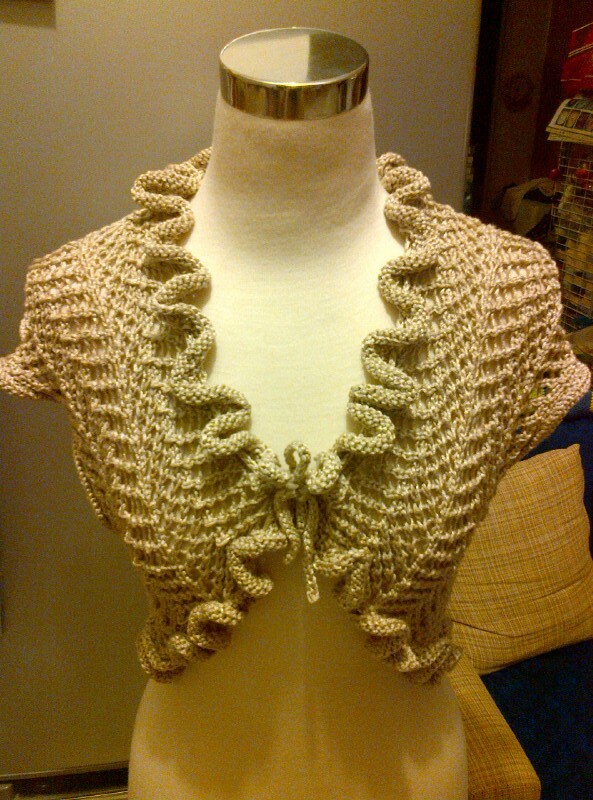 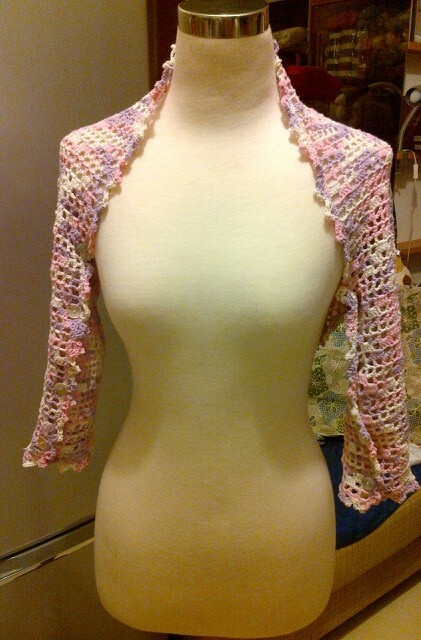 This Cielo shrug is so beautiful, I really enjoy knitting it. 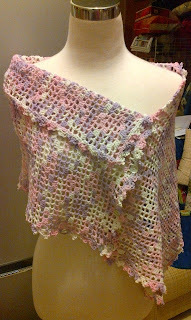 This one is a multiple wrap, the pictures show it worn in 3 ways, it's cute and multi function too. I knit the knitted squares and Fenny did the sakura squares, the squares was designed by Thata Pang. Using TS by Thalenta, 3.75mm knitting needle. 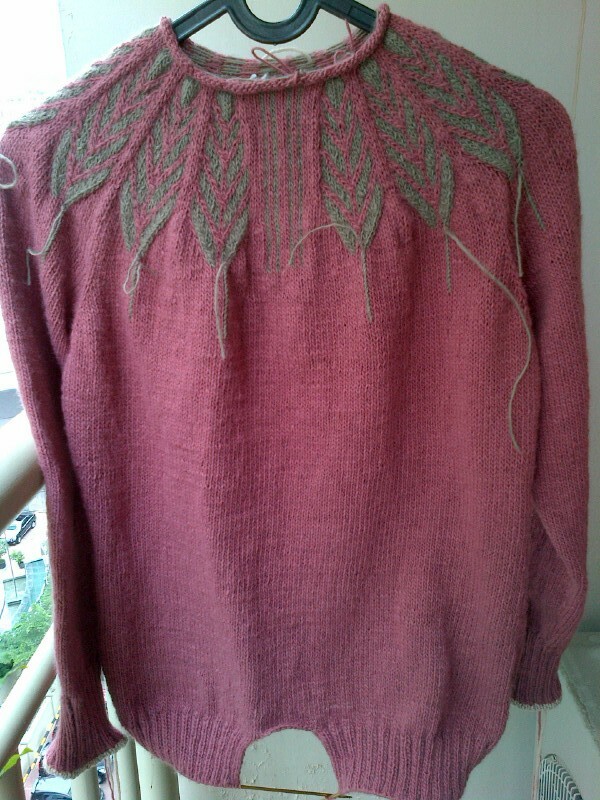 It's quite a long time I didn't post my project here. What a lovely little dress for a cute little girl. 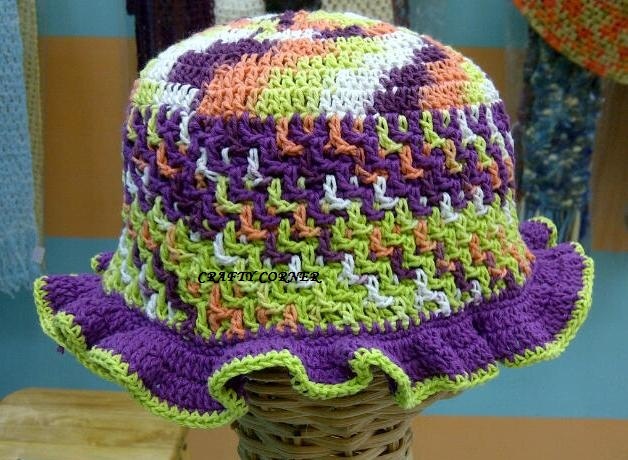 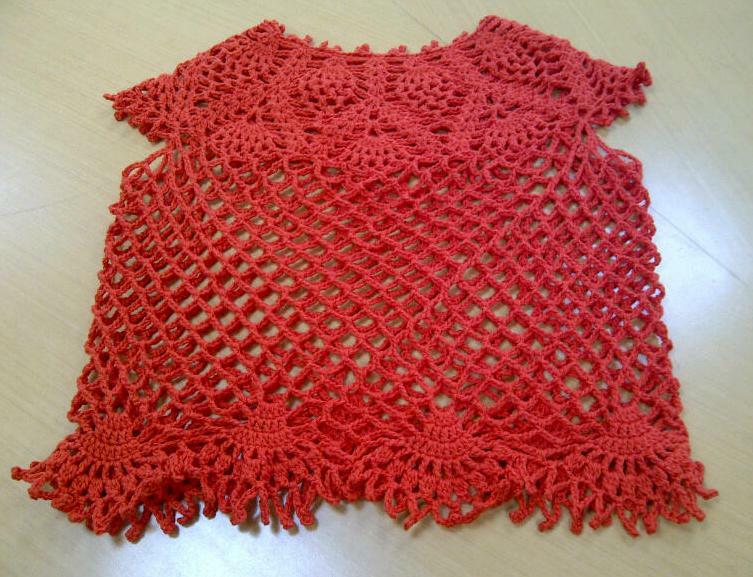 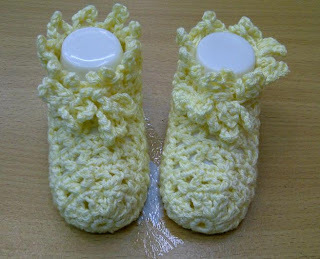 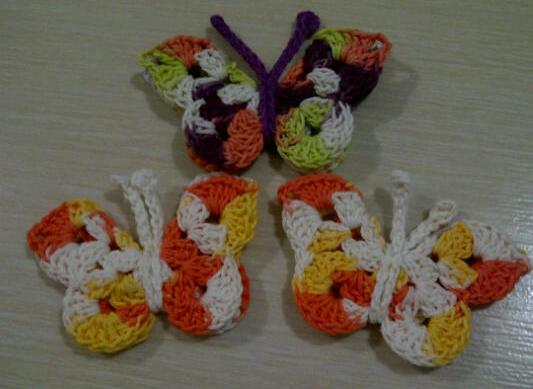 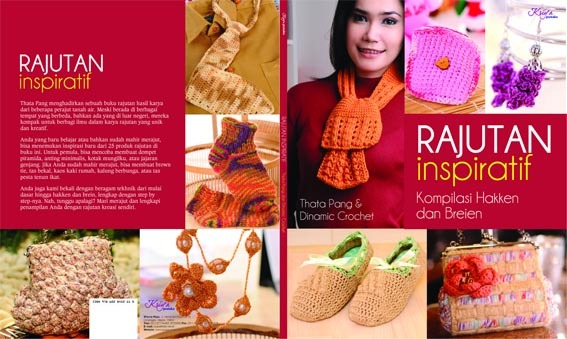 This is one of the pattern from the book "Kreasi Rajutan untuk Bayi" by Ms. Thata Pang. 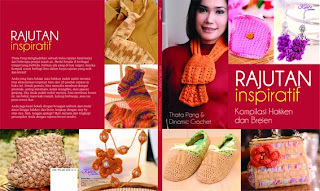 These 2 are made using the patterns in the book "Rajutan Inspiratif". 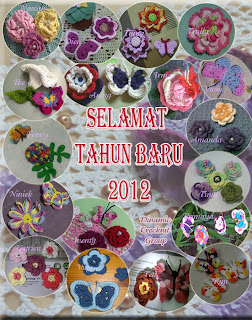 Hope it be you inspirations. This one was made for a friend of mine who is having a baby girl. She is so beautiful. 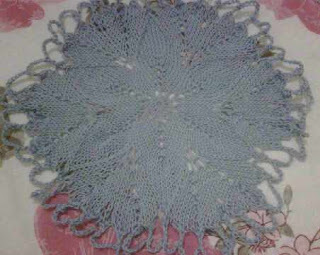 Azalea Doily, made for myself using ICTS and 3.25mm knitting needles. 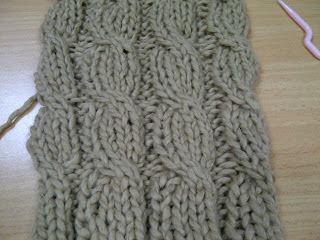 This one was first knitting from the center, not satisfied yet, will try another one. Hello! 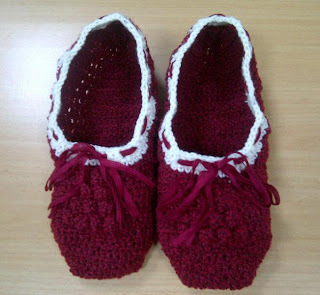 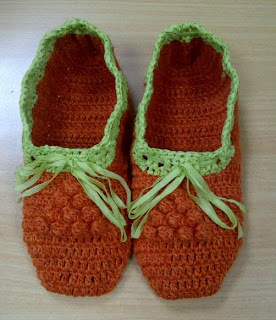 I love to do needle crafts, such as knitting, crochet and cross stitch. And wanna try more needle crafts such as quilting, embroidery, etc. 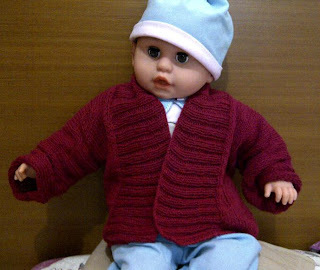 Thank you for visiting and please feel free to leave comments. 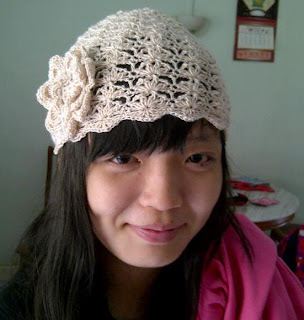 ALL PHOTOGRAPHS SHALL NOT BE TAKEN OR COPIED IN ANY FORM, AND SHALL NOT BE USED IN ANY FORM. 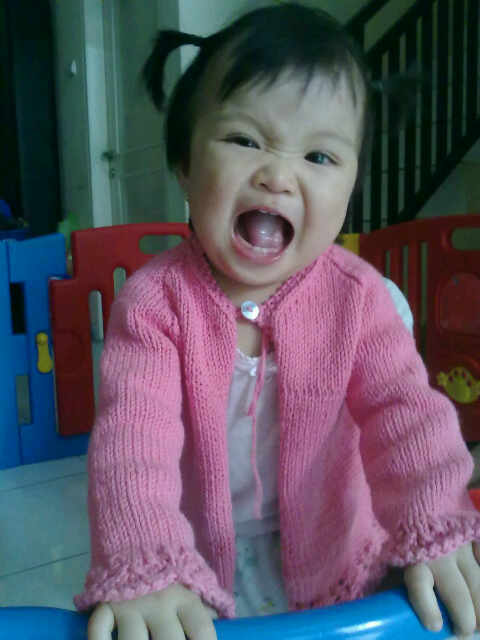 ALL PHOTOGRAPHS SHALL NOT BE TAKEN OR COPIED IN ANY FORM AND SHALL NOT BE USED IN ANY FORM.